Last Outdoor Concert of 2014! Sayon and Landaya return to Autumn Moondance Festival by popular demand! Center of the festival on Main Street in Windsor VT! This Friday October 10th from 6:30 – 8:30 pm. Time to dance! Come listen, come dance! Free concert! 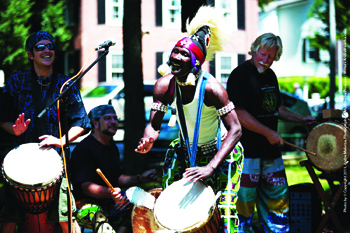 West African music performance. You’ll be soaring for days. 58 Bridge Street, White River Junction, VT… 7:30 pm. 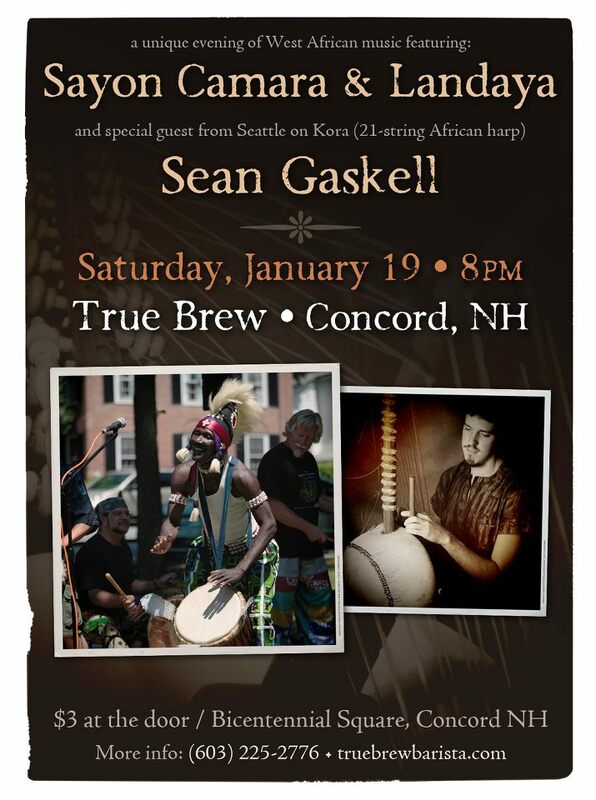 This promises to be a very unique evening with superb West African music! Show starts at 8pm. This covers a lot of area. For you central, western and Montpelier/Burlington area VT folks, we’ll be close by and for you Boston folks that have missed Sayon, Nashua NH is just a hop, skip and a jump! Join Guinean musician and performer Sayon Camara, along with NH’s Landaya, for a lively evening of traditional West African music, on Sunday May 27, from 6:30 – 8:30 pm at the Rey Center, in Waterville Valley. On Monday November 14th, Sayon will appear as the guest artist with Landaya, a west African ensemble that plays traditional music from his homeland as part of Plymouth State University’s International Week in Plymouth NH. Performance is at 11:30 am – lunchtime. Lots of Performances Coming Up! 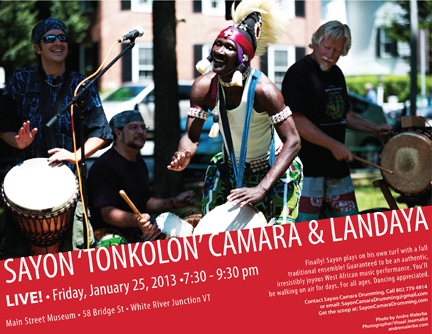 This week Sayon will be playing in Laconia NH. Two weeks from now on Saturday of Labor Day weekend, catch him at the Keene Music Festival, Gaia Roots Dance Party in Northhampton MA and on Sunday at the Hopkinton State Fair. Go to the Calendar page for dates, days, times and locations. And stay tuned for a special, one time only this year, double header workshop coming up at the end of September in Concord NH!